-The SW105 Kiboko III is now leaving for her maiden voyage heading to Palma de Mallorca (Spain). 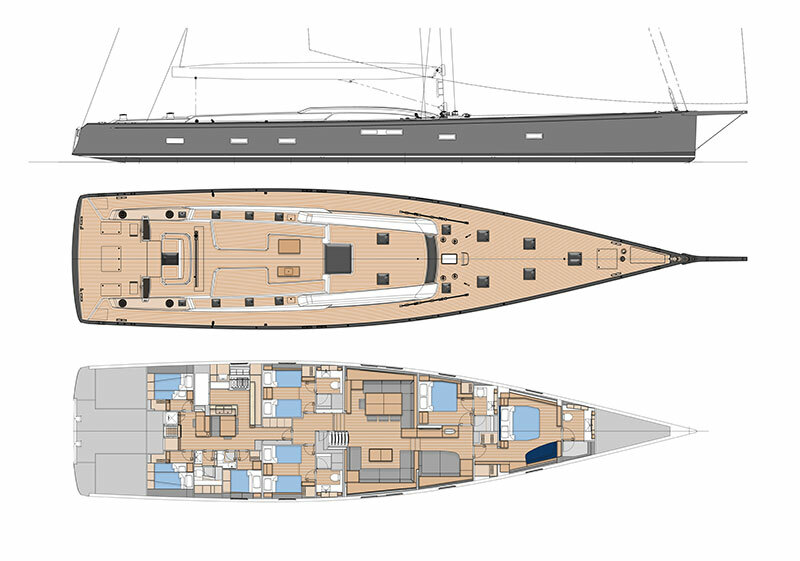 Southern Wind announces the delivery of the second in the high-performance cruiser miniseries, the SW105 Kiboko III, sister ship of SW105#01 Satisfaction, launched in January this year. 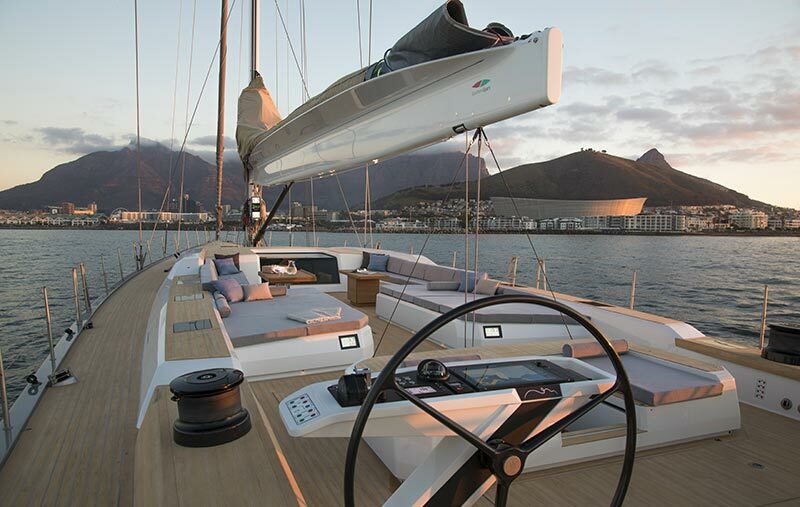 The SW105 project comes from a collaboration between Southern Wind, Nauta Design and Farr Yacht Design and provides an exceptional sailing experience, combined with outstanding stability and comfort. 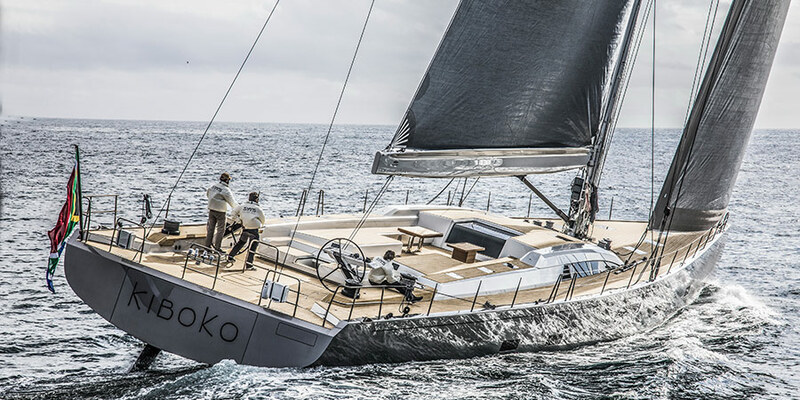 Performance is at Kiboko Tres’ core: the yacht features wide aft sections and an open transom. 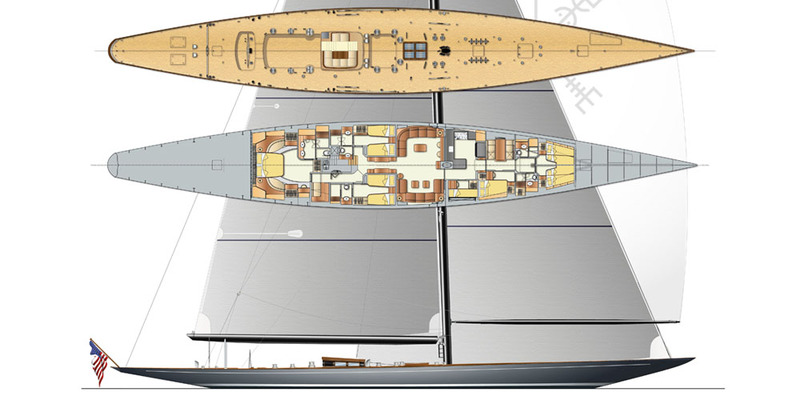 Her twin rudder configuration and increased sail area, combined with a fixed keel, provide extra righting moment without any compromise to the interior layout. 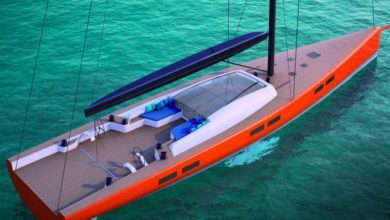 “The best balance of performance for cruising and occasional racing was the main consideration in the design brief,” explains Jim Schmicker, Vice President of Farr Yacht Design. 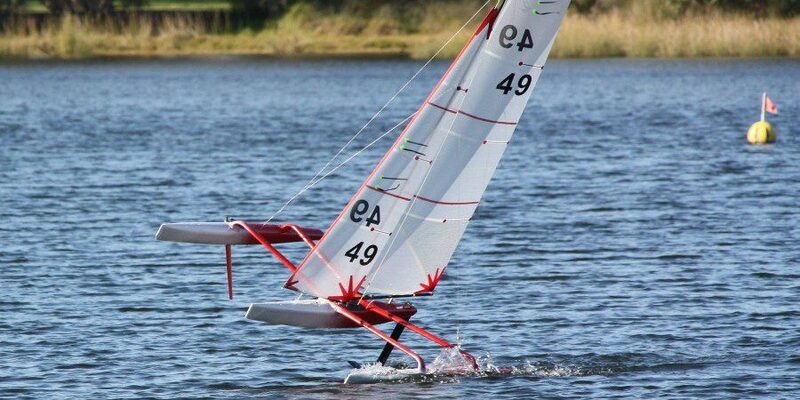 “With no requirement for a specific minimum draft, all of the available keel options (telescopic, fixed or lifting) were considered. A fixed keel with a 4.5m draft was chosen as it achieves excellent performance against handicap, allows for more room in the saloon and permits freer passage through the interior“. Kiboko Tres’ full carbon hull, deck and bulkheads make for significant weight saving and her lightship displacement of 69800 kg gives her excellent light air speed. “The proper choice of sail area, displacement and stability is the key to the success of Kiboko”, continues Jim Schmicker. 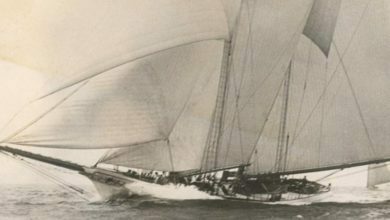 “She will occasionally race, so the amount of sail area was crucial for achieving the best performance, along with a rating that makes her competitive throughout the wind range. Starting with the configuration of the base SW105 with telescopic keel, we added 2% more sail area and 3 tons of weight to the 4.5m fixed keel. This calculation of additional sail area and weight provides 3.5% more stability and a higher sail area/displacement ratio”. Despite her enviable performance, there is no compromise in the cruising comfort that Kiboko Tres can offer, above and below decks. Nauta Design succeeded in designing a single level deck while keeping the freeboard low, with absolutely no effect on the interior headroom. A mainsheet captive winch and recessed traveller system keep the deck clean and elegant. The crew cockpit contains all of the sail controls and is separated from the guest cockpit by a wide sunbathing area. Titanium stanchions, cleats and fairleads emphasize the sporty look of this yacht and thanks to her twin rudder configuration, the yacht can count on optimized lazarette storage and a tender garage for a 4.3m tender. Kiboko features a Raised Saloon Configuration which allows natural light to flood into the interior through panoramic windows, hull portlights and a double athwartships companionway that has a sliding glass closure. The interior layout features a large saloon above the engine room; forward of the saloon there is a spacious convertible studio/TV area that seamlessly separates the main saloon from the owner’s private area. 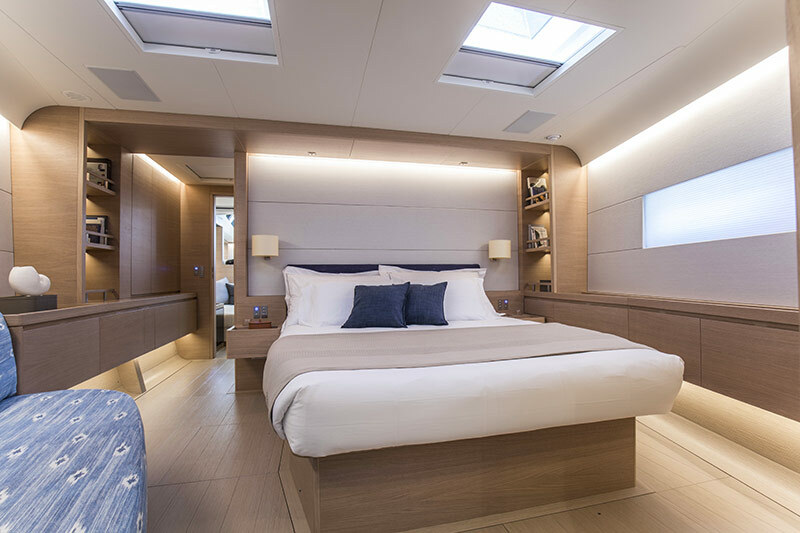 The master cabin is forward and three comfortable en-suite guest cabins are amidships to offer privacy and comfort to all guests on board. 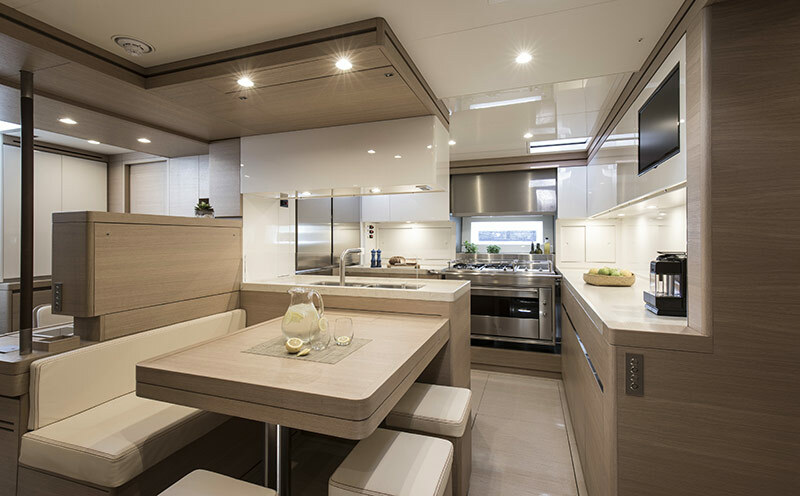 The crew area aft is an efficient living and working environment for five to six crew and has three crew cabins, two heads, a fully equipped galley, a crew mess and a nav station. Nauta Design succeeded in creating the light design of the exterior to be incorporated into the interior, leaving structural bulkheads exposed, which is similar to the design of the SW-RP90 Custom launched in 2017. “The owner wanted to add some touches from the SW-RP 90 ‘All Smoke’ and to capture the same sensation of lightness that we achieved on this yacht. “Show, don’t hide” was the key to the interior design, where furnishings, suspended from the yacht’s structural elements, let us showcase the true shape of the yacht and bring out some of the elements of her construction. 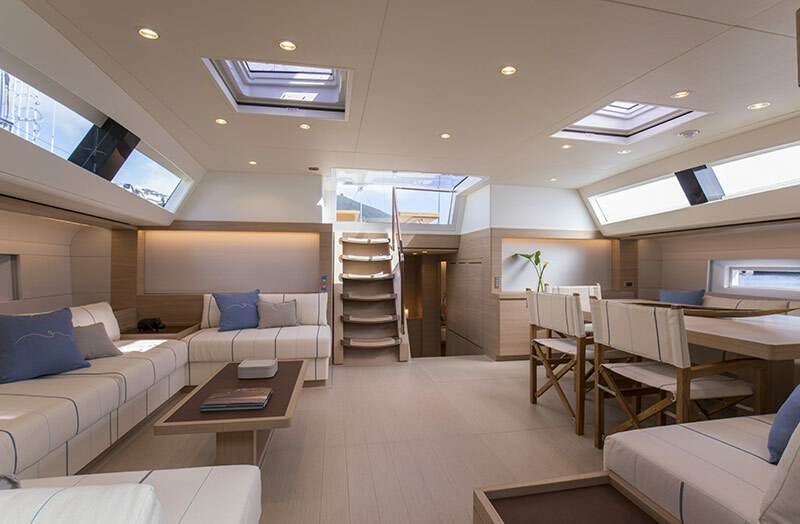 We lightened and simplified the interior furnishings and left the interior hull sides and bulkheads exposed for a result that is beautiful and innovative”, explains Massimo Gino from Nauta Design, who was responsible for the deck and interior design. Careful attention was dedicated to the style of the guests’ cabin, where shelves are built both against the hull and bulkheads, giving an overall impression of natural light, and free floating from the cleverly suspended furnishings. The SW105 Kiboko III is now leaving for her maiden voyage heading to Palma de Mallorca (Spain), where she will be based. Frédéric Denis has won the Mini Transat 2015!